Black and white photo of the Radnor High School Band marching around a corner in the Memorial Day parade of 1934. The big bass drum says Radnor. 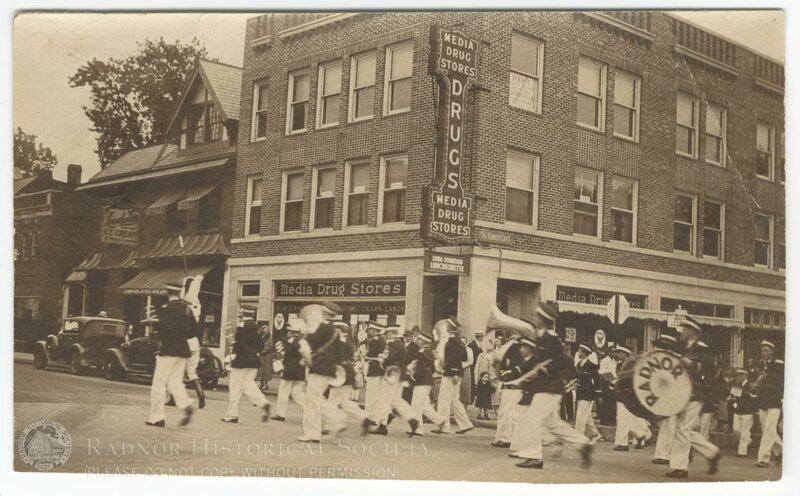 The building on the corner says Media Drug Stores.